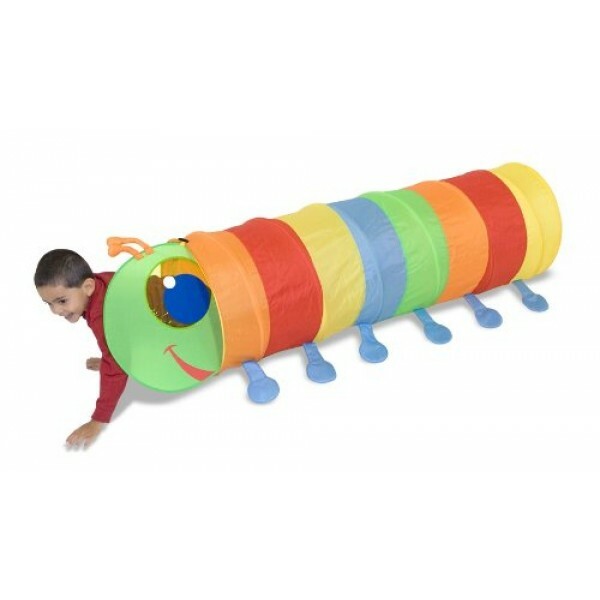 Melissa & Doug's Happy Giddy Tunnel adds a new wrinkle to play time... connect two "blanket forts" with ease! 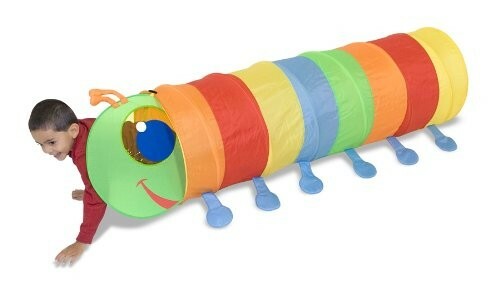 Active kids will enjoy crawling through a rainbow of color in this bright tunnel. Made of durable materials, it sets up quickly and folds easily for convenient storage. Dimensions: 18 x 57 1/2 x 18".